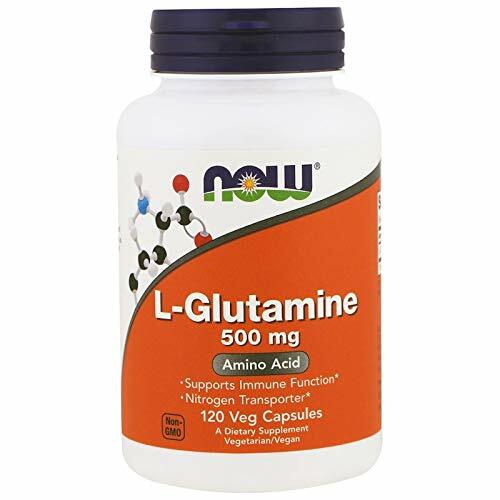 NOW Sports L-Glutamine Powder, 1 lb. NOW L-Glutamine Powder is a pure, free-form, non-essential, amino acid and is the highest grade available. 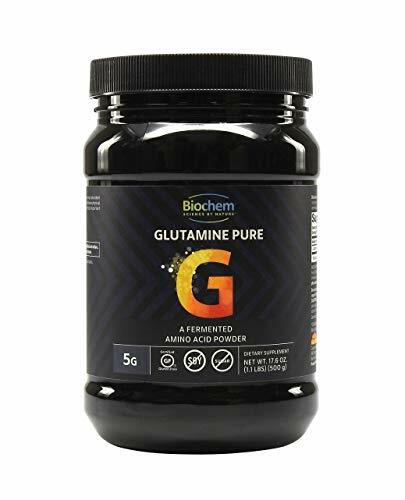 Glutamine is considered to be a conditionally essential amino acid, which means that under certain circumstances, the body may require more Glutamine than it can produce. In the body, Glutamine functions as a major nitrogen transporter and is critical for the maintenance of healthy nitrogen balance. * Glutamine also acts as the primary fuel for the rapidly growing cells of the immune system and GI tract. * Natural color variation may occur in this product. Take 1 rounded teaspoon in juice, preferably between meals, 1 to 2 times daily as needed. These statements have not been evaluated by the Food and Drug Administration. This product is not intended to diagnose, treat, cure or prevent any disease. Use in conjunction with an intense daily exercise program and a balanced diet including adequate caloric intake. Optimum Nutrition's commitment to quality is evident throughout the entire product development process. As a continued measure of quality, all vendors must provide a Certificate of Analysis for each raw material supplied. The certified analyses are also verified through random in-house and independent laboratory testing. To further diminish any chance of physical, chemical, and microbiological contaminants, ON has established and implemented a Hazard Analysis Critical Control Point (HACCP) program. Quality assurance professionals make routine checks on all storage, blending, and production areas and conduct daily inspections. ON is proud that its in-house manufacturing operation has been registered under the NSF International, The Public Health and Safety Company, Good Manufacturing Practices (GMP) Program. Together, these practices and procedures allow ON to consistently deliver first-rate sports nutrition supplements under the strictest quality control standards. KAGED MUSCLE Glutamine is fermented from plant based raw materials, not made from bird feathers or human hair. This premium-quality supplement is vegan-friendly, and is free of heavy metals, impurities and toxins. KAGED MUSCLE Glutamine is also kosher and gluten free. KAGED MUSCLE Glutamine is banned-substance free. In fact, each tub of KAGED MUSCLE Glutamine has 100 percent ingredient transparency on the label so you know exactly what you re putting into your body. 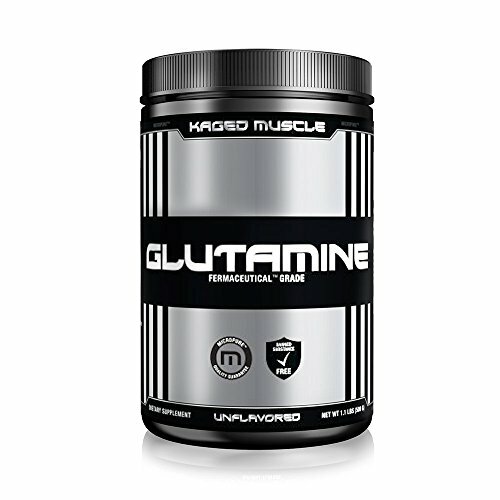 Your quest for superior muscle mass begins with KAGED MUSCLE Glutamine. RAPID RECOVERY - Each serving has 5 g of fermented glutamine to help quickly replenish glutamine levels following tough workouts. BUILD MUSCLE - Glutamine enhances protein synthesis, helping you pack on more muscle. FIGHTS FATIGUE -Glutamine helps combat lactic acid buildup that leads to fatigue, allowing you to train harder for longer. BANNED SUBSTANCE FREE - KAGED MUSCLE Glutamine powder is non-animal sourced, using plant-based raw materials made in the USA. TRANSPARENT LABELLING - Each tub of KAGED MUSCLE Glutamine has 100 percent ingredient transparency on the label so you know exactly what you're putting into your body. 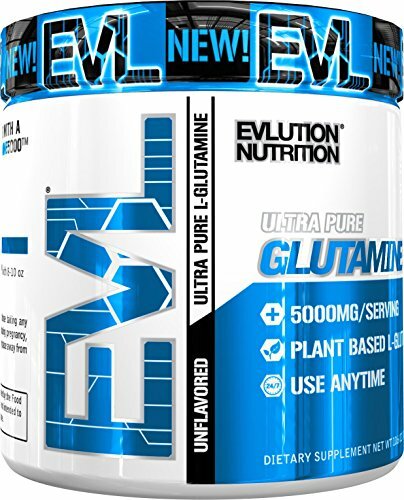 GET MORE WITH YOUR GLUTAMINE | Fuel your body with Evlution Nutrition Glutamine5000, containing 5 grams of Ultra Pure L-Glutamine that supports a variety of essential functions to keep your body running strong. FAST WORKOUT RECOVERY | L-Glutamine is one of the major amino acids involved in muscle synthesis, which means that the body is actively using it to repair injured or damaged muscle tissue. This makes it the ideal supplement to take to shorten recovery time, boost muscle mass, or alleviate minor aches and pains. STARTS AT THE SOURCE | Our Glutamine5000 formula delivers 5 grams of ultra-pure, pharmaceutical grade L Glutamine - and nothing else - to ensure proper dosage and maximum absorption. We source our Glutamine exclusively from high-quality, easy-to-metabolize plant sources to support optimal levels during and after your workout. 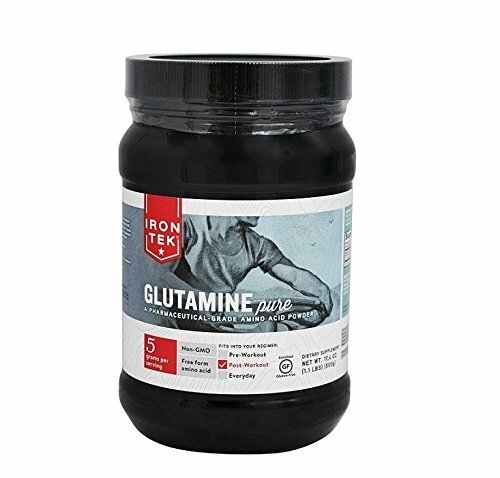 PURE TRANSPARENT INGREDIENTS | Glutamine 5000 is Vegan, Gluten-Free, and proudly made in the USA at a GMP-certified facility so you can be sure you are getting the very best. Unlike some of our competitors, Glutamine 5000 contains no proprietary blends and has 100% transparent labeling allowing you to see the full dosing of each ingredient. 30 DAY SATISFACTION GUARANTEE | No compromise is what our company is founded on. That means we're committed to creating supplements made with the best possible ingredients and manufacturing to produce the highest quality products, period! We never stop working to earn your trust by exceeding expectations and helping our community, friends, and family achieve their goals every day. Glutamine is one of the most abundant of all of the 20 amino acids, making up over 60% of all skeletal muscle tissue in the body. It can be found in even higher concentrations in more vital organs such as the kidney, liver, heart, and brain. 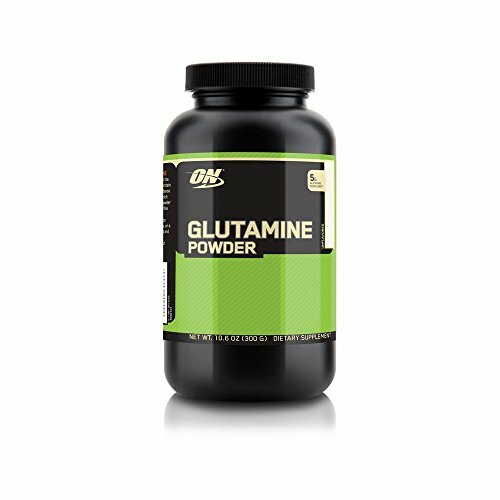 Glutamine is by far the most important of all of the amino acids when it comes to metabolism. It is the main source of fuel used by cells to complete the process of transferring fats, sugars and more into usable energy that the body can store for later. This is because Glutamine can be stored in the body and later converted into glucose, one of the chief energy providers for the body. This is what makes this supplement such an attractive option for high endurance athletes with strict training regimens. It is also used to help the body more effectively burn fat while adding on to overall muscle mass. 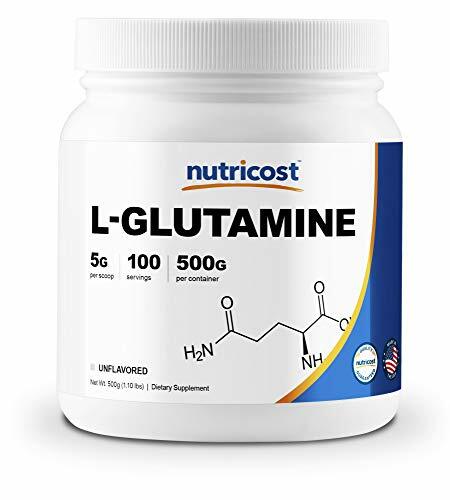 L-Glutamine Powder by Nutricost has recently been the focus of much scientific interest, particularly for those in the fitness and health community. 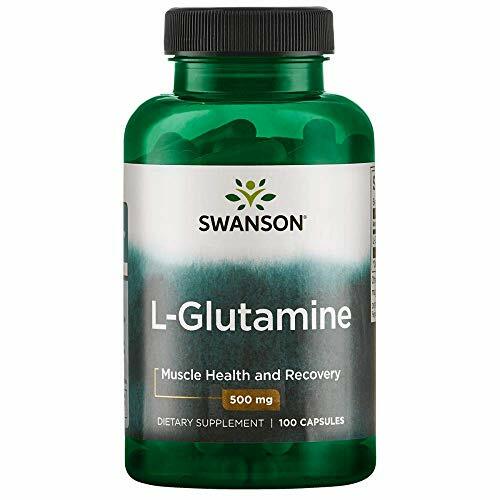 L-Glutamine has been shown to help maintain a positive nitrogen balance in the body (an anabolic state) and also aids rapidly growing cells. 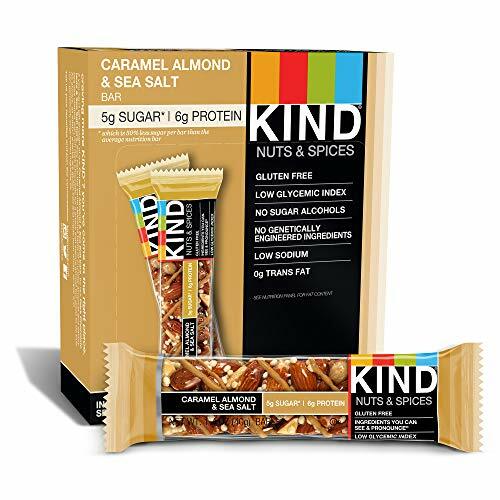 1.1 Pounds (500 grams) for 100 Servings with 5000mg Per Serving! 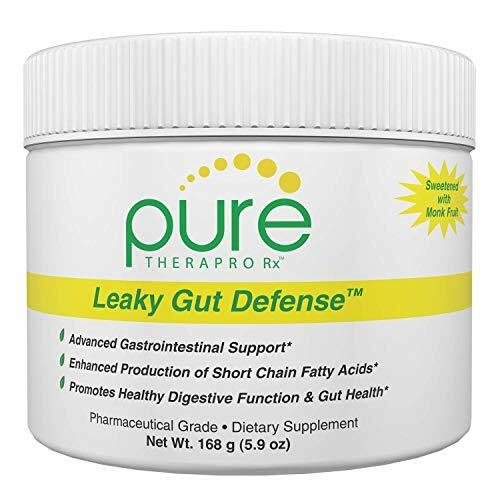 Leaky Gut Defense features five specialized ingredients for enhanced gastrointestinal support. All Pure Therapeutics Formulas Meet or Exceed cGMP Quality Standards. This product is manufactured in the United States in a GMP-certified facility. Leaky Gut Defense is Stevia-FREE, it's sweetened with Monk Fruit for added health benefits. Comes in a convenient powdered form, easy to mix. This formula is optimized for healing over taste. Manufactured in the USA in a GMP-certified facility, for guaranteed quality and potency. - 7 different microbiome (fermented enzymes). - Gut Integrity Blend of L-gluatmine, Deglycyrrhizinated Licorice root and Marshmallow root. - Tonic mushrooms blend including turkey tail extract and reishi extract as well as microalgae and mineral blend. - Soil and plant based prebiotics and probiotics blend. - This product is 100% additive-free. - Shelf-stable so there's no need to worry about keeping them refrigerated! 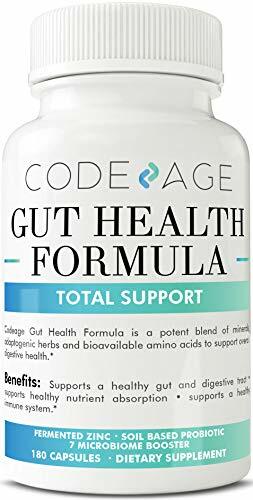 GUT FORMULA: Codeage's Gut Formula is an all-in-one, premium supplement with a smart blend of SBO probiotics, prebiotics, bioavailable glutamine, licorice root (DGL), tonic mushrooms, micro algae and minerals. SUPERIOR QUALITY: Our plant based gut integrity blend features high-quality prebiotics and probiotics with 10 Billion CFUs* per serving of soil-based organisms (Bacillus coagulans, Bacillus subtilis and Saccharomyces boulardii). CLEAN INGREDIENTS: Contains a unique blend of minerals, fermented zinc, tonic mushrooms, micro algae, adaptogenic herbs and bioavailable amino acids. CONVENIENT - Simply take 3 capsules alongside a glass of water and enjoy Codeage Gut Health Formula with this powerful real food probiotic. Our probiotics are shelf-stable, meaning no need for refrigeration. TRY IT RISK FREE: Buy with confidence when purchasing exclusively from the Codeage Amazon store. Click the Add to Cart button to give our Gut Formula a try. If you're not 100% satisfied with your purchase, Codeage will happily refund your order within 30 days of purchase. It's that simple! MuscleTech 100% Glutamine supplies 5g of L-glutamine per serving, which works to rapidly replenish the L-glutamine used during training. 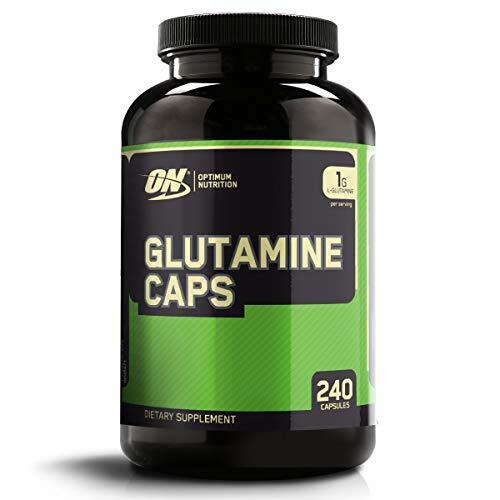 Glutamine is the most abundant non-essential free amino acid in your body and your muscles are especially high in glutamine, making it extremely important for muscle metabolism. When you re training hard, your muscles can lose up to 50% of their glutamine stores, so you need to replace them fast! This flavorless and odorless formula stacks and mixes easily with creatine, BCAAs, pre workout powders, and protein powders like whey protein and whey protein isolate! 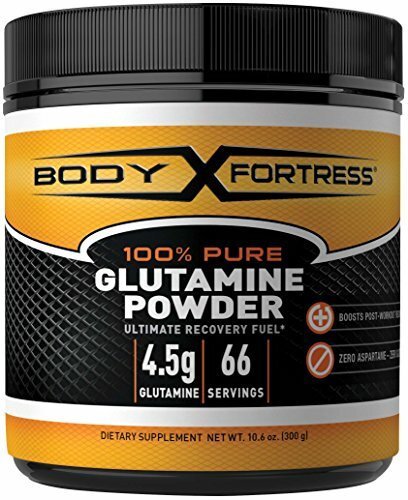 Note: The manufacturer has rebranded MuscleTech Glutamine, 100% Ultra Pure L-Glutamine, 60-Day Supply, 10.65 oz (302g) with a change in label. The product itself remains the same. You may receive either the original or revised label. Heavy Metals Testing Conducted by a Third-Party Laboratory *These statements have not been evaluated by the FDA. This product is not intended to diagnose, treat, cure or prevent any disease. 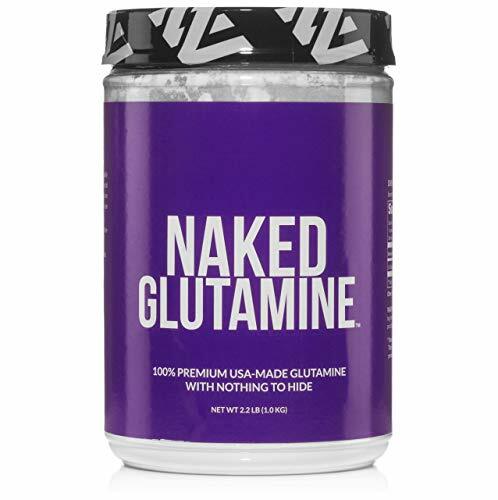 ONLY PURE GLUTAMINE FOR DEVELOPMENT AND RECOVERY: Naked's L-Glutamine Powder is a pharmaceutical-grade amino acid supplement, manufactured in the USA and free of fillers, flavors, colors and sweeteners. This amino acid helps stimulate muscle growth and significantly improves recovery time. FORMULATED FOR OPTIMAL ABSORPTION: Each scoop contains undiluted free-form l-glutamine in a finely micronized powder designed to maximize absorption of this key amino acid. GREAT FOR POST-WORKOUT: Glutamine is a protein building block that protects your body from the negative effects of overtraining. You will notice marked improvements in performance, strength, endurance, recovery, immune function and gut health. THIRD-PARTY TESTING: All Naked Nutrition products are independently third-party tested for purity, safety and nutritional value. 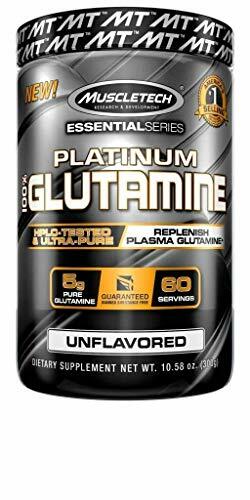 Glutamine is the most abundant free amino acid found in the muscles of the body. Its ability to easily pass the blood-brain barrier makes it an effective brain fuel. 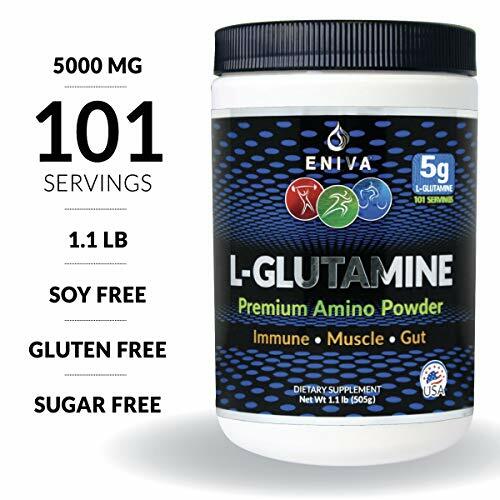 Eniva L-Glutamine Powder, 1.1-Pound, MAX Value 5000MG, 101 Servings. Micronized. Gluten Free. Non-GMO. Soy Free. Zero Sugar. Muscle Recovery, Immune Support and Amino Acid for Gut. 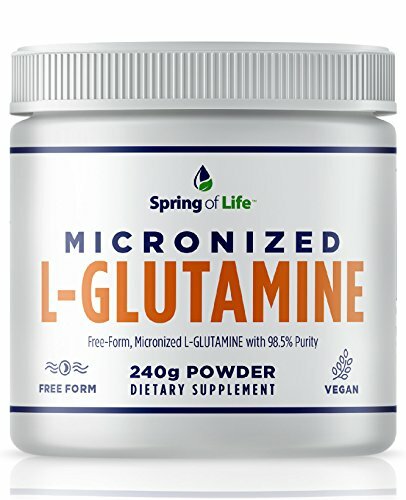 L-Glutamine MAX VALUE: 101 Servings, 1.1 Pounds, 5000mg/5G per serving, Micronized | Nitrogen Transporter* excellent for pre and post physical activity | Also supports Gut and Immune Health*| 100% Pure L-Glutamine Powder: Soy Free, Gluten Free, Non-GMO, Zero Artificial Ingredients or Flavors, Zero Sugar |Immune Support/Nitrogen Transporter*: Helps support positive nitrogen balance for active individuals* and stress from physical exertion |Doctor Formulated and Made in the USA in our own, onsite NSF Certified, GMP Compliant and FDA Registered manufacturing facility | Supports Muscle Tone and Muscle Strength and Muscle Recovery*. Supports Immune and Gut Health*. Aids Power and Performance during a Workout*, Muscle Cell Hydration and Energy*. L-Glutamine is an essential amino acid found in high concentration in the body which plays a key role in immune, muscle and gut health. * Under body stress or physical demand it can be significantly depleted. The Eniva Premium L-Glutamine Powder provides pure, USA made glutamine designed for easy mixing. Micronized. 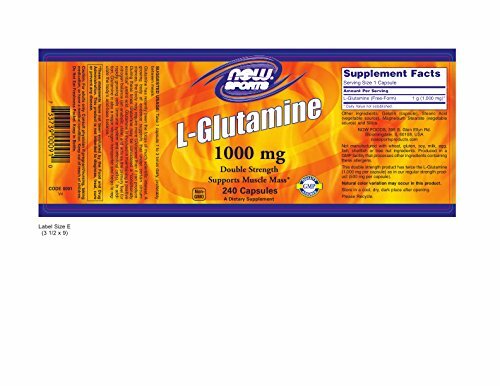 L-Glutamine MAX VALUE: 101 Servings, 1.1 Pounds, 5000mg/5G per serving. Micronized. Nitrogen Transporter* excellent for pre and post physical activity. Also supports Gut and Immune Health. 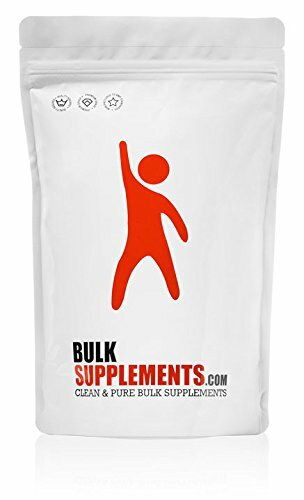 100% Pure L-Glutamine Powder: Soy Free, Gluten Free, Non-GMO, Zero Artificial Ingredients or Flavors, Zero Sugar. Immune Support/Nitrogen Transporter*: Helps support positive nitrogen balance for active individuals* and stress from physical exertion. Doctor Formulated and Made in the USA in our own, onsite NSF Certified, GMP Compliant and FDA Registered manufacturing facility. Country life's essential glutamine has 5 grams of l-glutamine per serving. glutamine, the most abundant amino acid in the human body, helps support muscle tissue. intense physical exercise utilizes the body's glutamine stores, therefore glutamine is an important sports-related nutrient. it is especially concentrated in muscle tissue where it is the most abundant free amino acid. free form amino acids are readily available for various uses by the muscles and other areas of the body. PEScience TruGlutamine Unflavored dietary supplement is formulated with sustamine for increased recovery support. TruGlutamine comes in a flavorless easy to mix powder so you can add it to whatever you desire. Serving size: 30 servings. 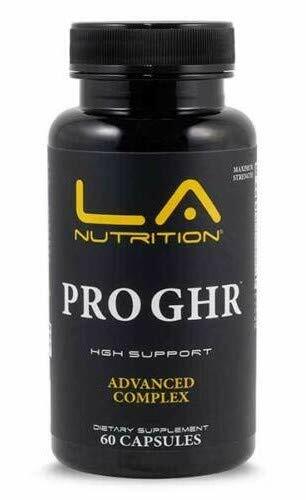 Supports your body in streamlining its composition, maintaining a healthy weight, increasing muscle mass, and reducing the storage of fats, consider LA Nutrition's Pro GHR blend. This comprehensive supplement utilizes an L-Arganine base, which has been shown to encourage a healthy body mass index by increasing muscle and decreasing fat. 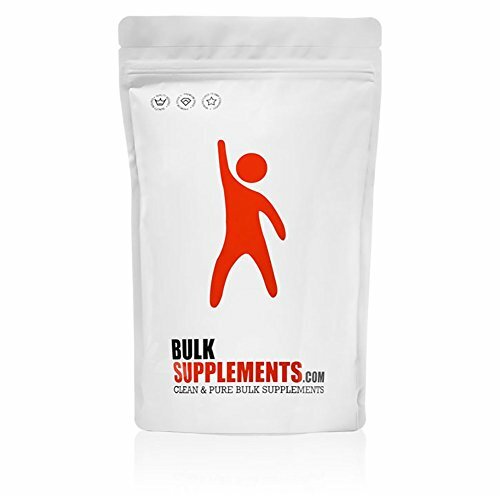 L-Glutamine, L-Ornithine, L-Lysine, and Ornithine Alphaketoglutarate round out this supplement by adding further encouragement of muscle size and strength, while also boosting human growth hormone levels. Bovine colostrum then provides 87 different growth factors and every essential amino and fatty acid for peak physical condition and superior athletic performance. Isopure L-Glutamine powder has no calories, added sugars or fillers. Glutamine is the most abundant amino acid in the body and plays an important role in muscle development. It's unflavored and perfect for stacking into your post-workout protein shake or favorite flavored beverage. 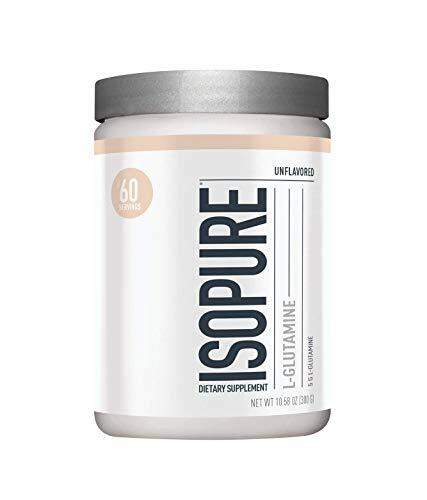 Isopure L-Glutamine powder has no calories, added sugars or fillers. 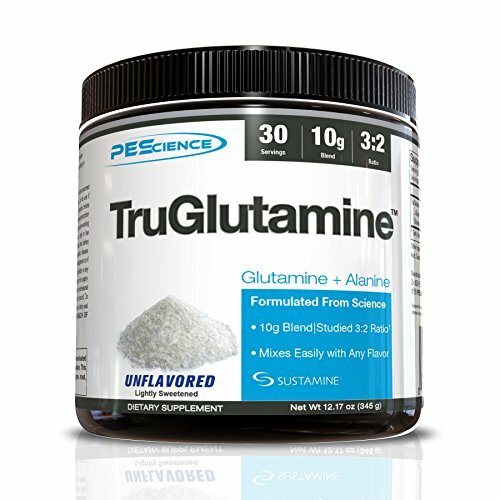 s. Glutamine is the most abundant amino acid in the body and plays an important role in muscle development. It's unflavored and perfect for stacking into your post-workout protein shake or favorite flavored beverage. The simple fact is that living in today's stressful world takes its toll on everyone's health. To combat the ravages of modern life' help is available in the form of Perque's Endura/PAK Guard. This powerful and effective supplement features a non-stimulant' energy-boosting formula that delivers relief to those suffering from chronic fatigue or mental "fuzziness"' while adding beneficial support for the repair of the intestinal walls. Endura/PAK Guard can assist if you have: Constant fatigue The need to increase endurance Difficulties with concentration and maintaining mental sharpness A desire for quick recovery following exercise The symptoms of chronic fatigue are quite often cured-or at least substantially reduced-by targeting the causes' which often include a diet deficient in necessary nutrients' a sedentary lifestyle that includes little or no physical exercise' and irregular or insufficient amounts of sleep. Research has shown that effective nutritional supplementation with essential vitamins and minerals can play a critical role in remedying deficiencies' promoting the elimination of toxins' and establishing an overall sense of wellbeing. 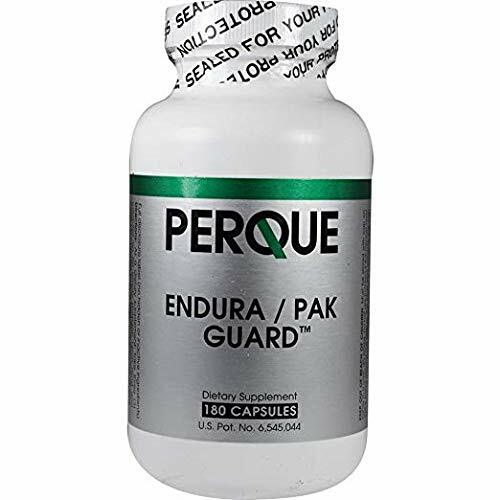 Endura/PAK Guard by Perque offers invaluable nutritional support for muscular stamina' as well as mental clarity. The exclusive formula boasts a unique combination of the valuable amino acids L-glutamine and pyridoxal alpha-ketoglutarate (PAK); glutamine serves as the principal fuel for your intestines' brain' muscles' and liver. This supplement is an exceptional option for those with intestinal irritations. Its ingredients assist in the regeneration of the intestines' surface cells; this is particularly important due to the fact that intestinal surfaces are quite vulnerable to abrasion and erosion caused by mechanical action' toxins' or atypical bacteria. Result: Safely increases glutamine in the brain, muscle and gut for significantly better energy production throughout the body. 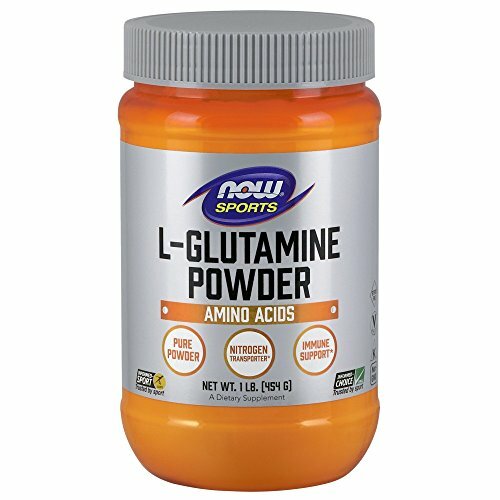 NOW® Sports L-Glutamine Powder, 1 lb.